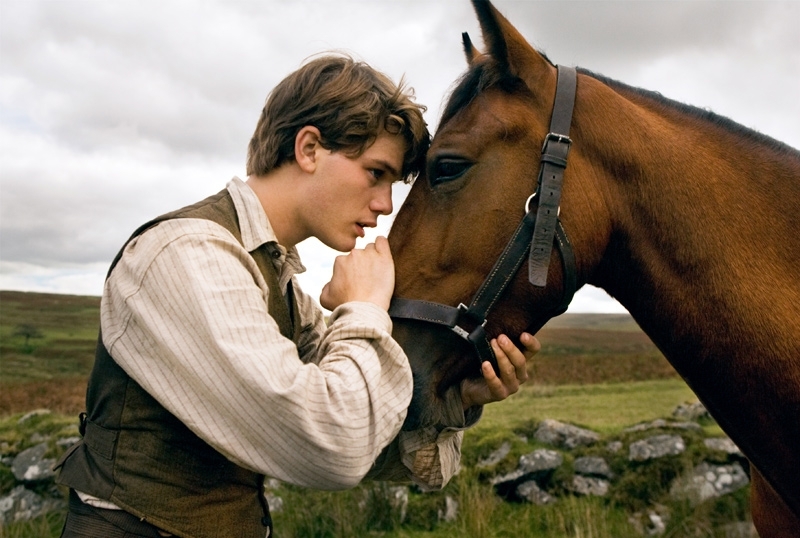 Last week I went to War Horse with a friend of mine, but I have to say it was great and very cinematic from Director from Jaws, E.T, Super 8 many others comes comes War Horse. I enjoyed watching allot I have to say it was very emotional and said to watch at the same time. I know don’t know at the same time felt when I was watching it…it felt very long, for some reason I was thinking of Peter Jackson’s King Kong (Laughing) War Horse the movie so epic, it has to be long! lol If your anyone that feels like watching a War movie that has something to do about horses then this movie is for you! For that I recommend to some since there’s parts that you feel it’s a little to much horse violence while watching this flick, you’ll find out that this is a World War I taking place around the the beginning of the 1900’s. England going to war against Germany since you know that the Germans likes to cause trouble, I glad that this is not a WWII film, because after all, it’s like seeing the same film over and over again, but again this is not it’s a WWI movie since I don’t see allot of movie lot these nowadays.